Bottom Line: A delightfully chewy and appetizing weizen bock to savor. 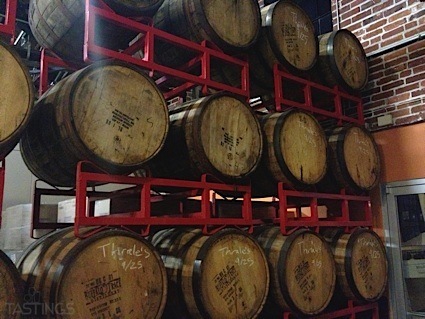 Weizen bocks are pale gold to dark brown in color and range in alcohol from 6.5-8.5%. These beers combine the character of hefeweizens and dopplebocks and are rich and malty with estery, yeasty qualities. These brews also show a note of wheaty crispness through the finish. Weizen bocks are essentially winter wheat beers, originally brewed in Bavaria. Noteworthy example of this style include: Schneider Aventinus, Hacker-Pschorr Weisse Bock and Urban Chestnut Maximilian. 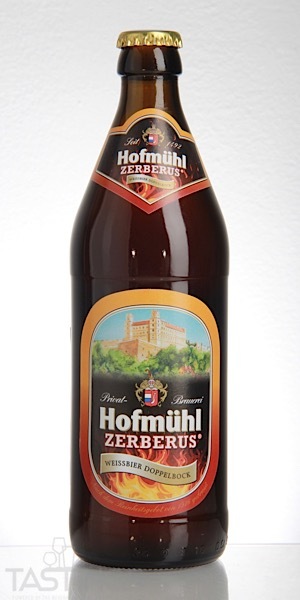 Hofmühl Zerberus Doppelbock rating was calculated by tastings.com to be 94 points out of 100 on 3/6/2019. Please note that MSRP may have changed since the date of our review.